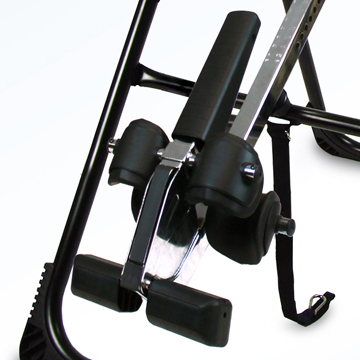 Teeter Hang Ups Improves The EP-950 Inversion Table! 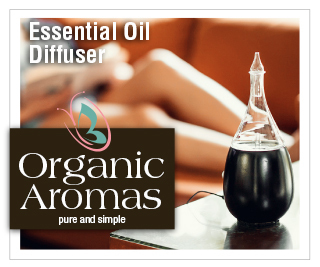 Back pain suffers, listen up: Here is something we are REALLY EXCITED ABOUT! 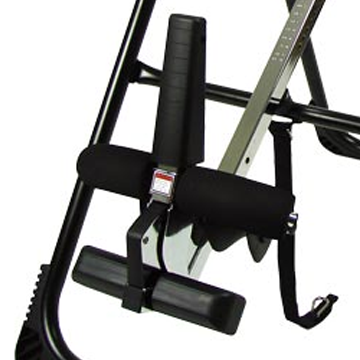 Teeter Hang Ups has improved the EP-950 Inversion table with what they are calling the “Ergo-Embrace Ankle System” for improved comfort and feeling of security. We’ve been shipping the improved table for almost a month now, and have received fantastic feedback from our customers. Of course, we have used the improved table ourselves as well. Here’s the problem they solved with the new Ergo-Embrace System: The EP-950, like the F9000 table that came before it, is designed for those who have back pain to the point where they can not reach down to they ankles to fasten themselves in the table. Gravity Boots, feel fantastic, but have never been compatible with the EP-950. In fact, it is not even possible to convert an EP-950 for use with Gravity Boots. If you think about it, that makes sense. If you have back pain to the point you can not reach down to your ankles, then you are not going to be able to get Gravity Boots on. It’s not that Teeter’s standard foot clamps are uncomfortable, it just that Gravity Boots are more comfortable and make you feel more secure. The new foot clamps eliminate the need for them on the Teeter EP-950, allowing users a very relaxing inversion experience. Click here for more information on the Teeter EP-950 table. 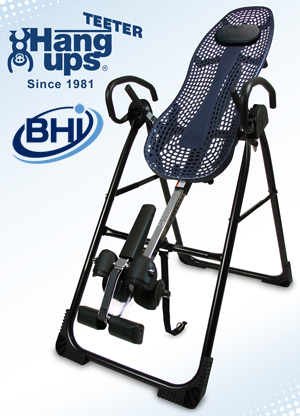 Please let us know your questions about the updated Teeter Inversion Table or your thoughts on inversion therapy by contacting us or leaving a comment below. Thanks!